As the Sammamish City Council prepares to transition next month to the largest makeover in a single year since incorporation, the first order of business after the swearing in of four new council members will be to select a mayor for the next two years and deputy mayor for the next year. Christie Malchow earned selection as mayor. Tom Hornish earned selection as deputy mayor. Both are two years in to their first, four-year term. Their leadership and willingness to dig deeply into issues during their first two years has been nothing short of outstanding. Their honor and integrity is likewise outstanding. The Sammamish City Council, in a surprise move, unanimously adopted a building moratorium for six months to make time to sort out the traffic concurrency problems that emerged in June. The item was not on the agenda. Deputy Mayor Christie Malchow introduced the ordinance declaring an emergency to adopt the moratorium. Member Tom Odell seconded. She said it became clear in a study session Monday night and in previous meetings that staff process was “trumping” policy. Underlying assumptions in Table T-8 in the Comprehensive Plan can’t be addressed until the next update in a year. T-8 details traffic counts and other data. This is six pages when printed. Lyman Howard. Source: Google images. The Sammamish City Council returns Sept. 5 from its August recess with traffic and concurrency the No. 1 priority and the No. 1 item on the agenda. City Manager Lyman Howard will present a proposal to establish a “roadmap” going forward to take a top-to-bottom look at how the City implements traffic concurrency policies and testing that are required before development can be approved. The review is the outgrowth of a controversial study by a Sammamish citizen, Miki Mullor, who concluded the City Staff had manipulated data to approve development. After a de facto moratorium brought on by the 2008 Global Recession, an improving economy and capital liquidity enabled a major spurt of growth that saw wholesale tree removal and increased traffic congestion over a few years beginning about 2014. Mullor’s study contained incendiary charges that prompted Howard to label it “inaccurate” and “deeply offensive” at the June 6 Council meeting, the day after Mullor emailed the study to the City. Howard suggested later at the same meeting that Staff would answer questions raised by the study and from the Council. Update, July 25, 2017: The reporter for the Issaquah/Sammamish Reporter has been transferred to sister papers in the Bothell-Kenmore area. This is seven pages when printed. Traffic and concurrency in Sammamish is a classic example of failure, and success, in government. It’s a glaring failure of the local newspaper. It’s a success story of how a single citizen forced debate on an issue that even determined City Council members could not. Here is the back-story of how traffic and concurrency became “the No. 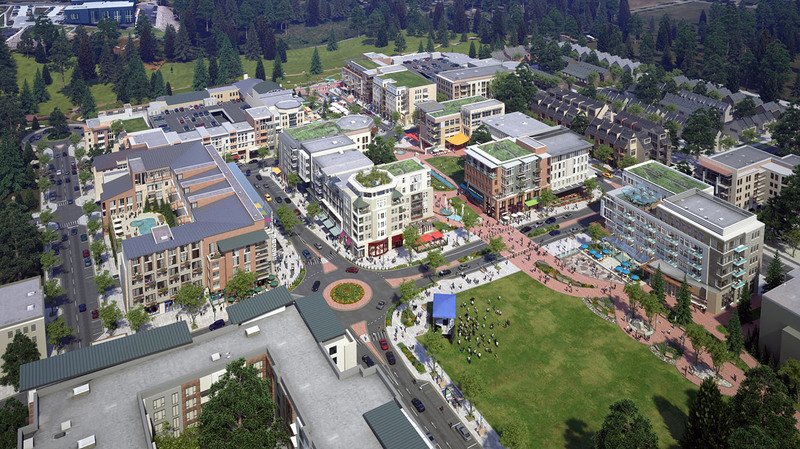 1 priority in Sammamish.” A sequential history is necessary before we get to the punch line.